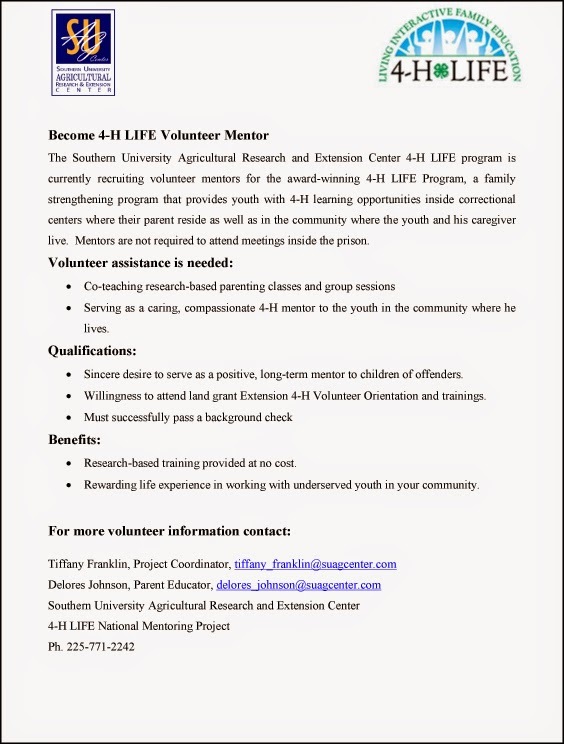 Baton Rouge, LA - The Southern University Ag Center is seeking caring adults to volunteer as mentors for youth who are actively involved in the 4-H Living Interactive Family Education (LIFE) program. The project seeks to rebuild broken family units who have been impacted by parental incarceration, which has a profound effect on the family. The 4-H National Mentoring project engages youth ages 5 to 17 in interactive family activities that include the incarcerated parent and the caregiver. If you are the caring adult the program is looking for, contact the SU Ag Center 4-H Program Coordinator or Parent Educator to see how you can positively impact the lives of young people in the East Baton Rouge and St. Landry parish community. Interested individuals must be cleared through a background check prior to working with youth. For information on how to get involved, contact Tiffany Wilkerson-Franklin, Program Coordinator, tiffany_franklin@suagcenter.com, or Delores Johnson, Parent Educator, delores_johnson@suagcenter.com, at 225-771-2242. A family needs you! This event is being held to assist the food bank in its mission to feed the hungry in its eleven parish service area. With the holiday season swiftly approaching this may be a difficult time of the year for many families. For this reason all SU Ag Center employees are asked to donate a non-perishable food item. Employees can place their donation in the food bank barrel located in the lobby of the Ag Center until November 7, 2014. If you have any questions about the SU Ag Center’s Pack the Pantry Project, please contact Milissia John-Baptiste, De’Shoin Friendship, or Tiffany Franklin at 225-771-2242. Baton Rouge, LA - Farm Credit has shared a video focusing on the 2014 4-H Citizenship Washington Focus (CWF) which was held in Washington, D. C. on July 6th - 11th. 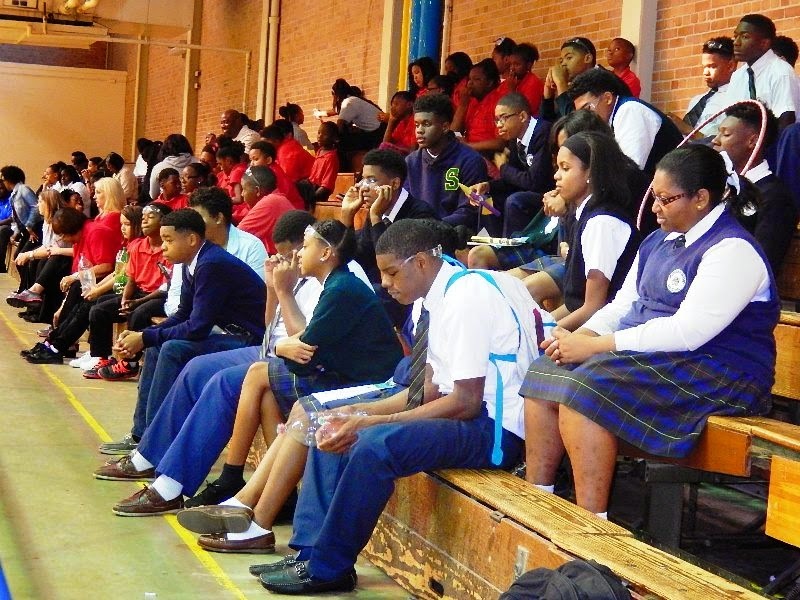 Several students from East Baton Rouge and St. Landry parishes who attended the program appear in the video. 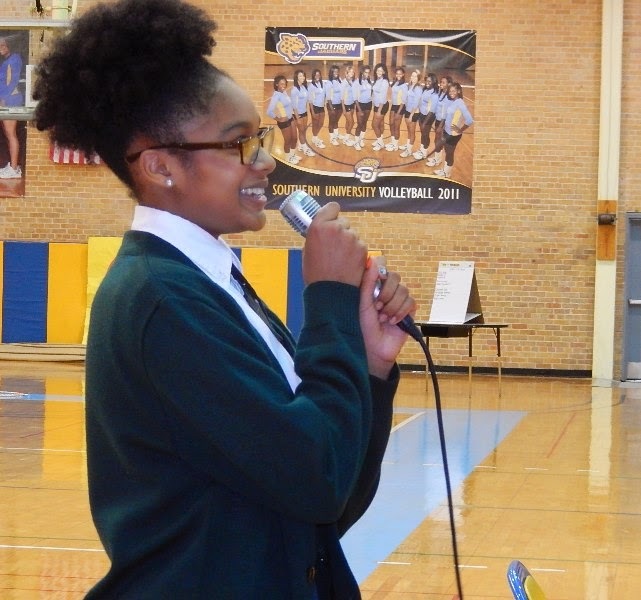 Students who were selected to attend CWF 2014 were: Ronjacoby Bell, Maya Stevenson, Maya Ster-ling, Dwayne Smith, Jr., John Zacharie, and Anthony Jack. The youth were accompanied by two chaperones, Ms. Tara Hollins and Mrs. Tiffany Wilkerson-Franklin. Ms. Hollins is a science teacher at Southern Lab School and Mrs. Wilkerson-Franklin is the Project Coordinator, SU Ag Center. CWF is a week-long 4-H citizenship program for youth ages 14-19. The program provides opportunities for young people to: strengthen communication, leadership and other citizenship skills on a national level; understand the importance of civic and social responsibilities as they relate to the development of better citizens and leaders; and exchange ideas, practice respect and form friendships with other youth from diverse backgrounds. For additional information about 4-H programs offered through the Southern University Ag Center, contact Tiffany Wilkerson-Franklin at 225.771.2242. Baton Rouge, LA – Five members of the Southern University Agricultural Research and Extension Center faculty and staff will travel to China to exchange knowledge and technology in the area of World Agricultural Supply and Demand Estimate with Chinese scientists and officials. The visit, which will be from October 17-30, is part of the United States Department of Agriculture (USDA)/Foreign Agricultural Service’s Scientific Exchange Program (SCEP) with the People’s Republic of China. The delegates going to China are: Professor of Food Science and Nutrition, Fatemeh Malekian; Coordinator for Planning and Evaluation, Oscar Udoh, Ph.D.; Professor of Animal Science, Sebhatu Gebrelul, Ph.D.; Associate Dean of the College of Agriculture and Professor of Design and Merchandising, Doze Butler, Ph.D. and Communications Specialist, Bridget Udoh, Ph.D.
For additional information, contact Fatemeh Malekian at 225.771.2242. Baton Rouge, LA - The Southern University Agricultural Research and Extension Center is making it easier for the clients in its 64-parish area to access information about the Ebola Virus Disease. The Center has launched a page on its website with up to date information from the Centers for Disease Control and Prevention on the transmission, signs and symptoms and prevention methods for the virus. “With three Ebola infections in our neighboring state of Texas, it is paramount that the Southern University Ag Center provides the citizens of Louisiana with the information they need to make informed decisions about the virus and take note of the prevention methods that are available,” said Southern University Ag Center Chancellor, Leodrey Williams, Ph.D. According to the Louisiana Department of Health and Hospitals website, the state has been working to ready its public health and medical infrastructure. “While we certainly hope that we never have an Ebola case in Louisiana, we are committed to ensuring that our health care system and our emergency responders are prepared,” stated the website. To view the Southern University Ag Center’s Ebola information page, visit www.suagcenter.com. 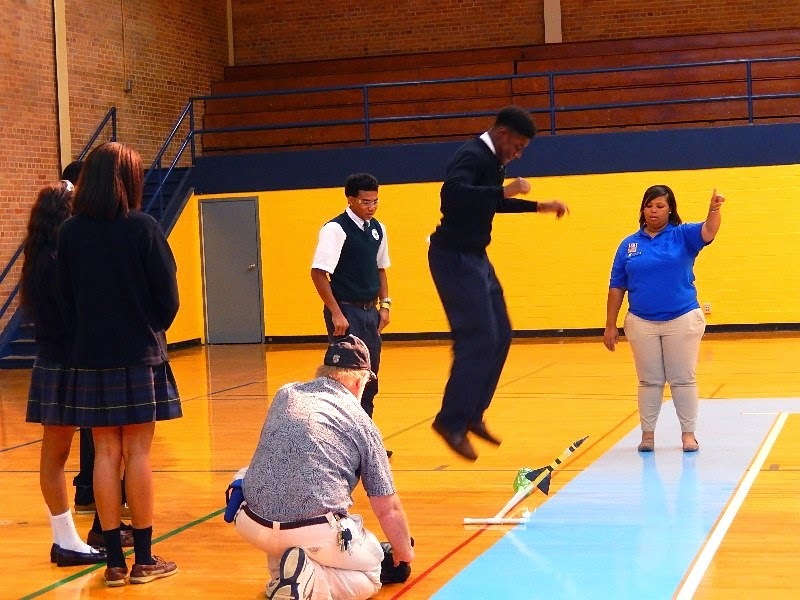 Baton Rouge, LA – Nearly 100 students in 5th – 9th grades from Southern University Laboratory and Park Ridge Magnet Schools filed into the Southern University Seymour Gym at 9 a.m. on October 8 to demonstrate the aerodynamic design of their self-propelled rockets. The event was held in observance of 4-H National Youth Science Day. This year’s theme was “Rockets to the Rescue,” and the experiment challenged youth to use aerospace engineering to design a rocket that could deliver food to victims of a natural disaster. 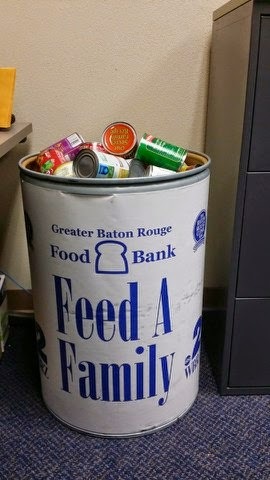 Students also donated non-perishable food items to the Greater Baton Rouge Food Bank as part of their experiment. “This year’s event is more than building a rocket, it’s more about giving back to the community and helping others in need,” said Tiffany Franklin, Southern University Ag Center 4-H Program Coordinator. 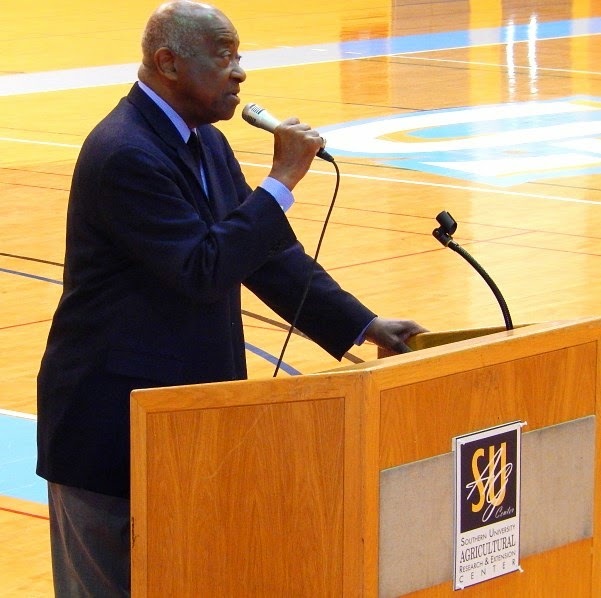 In his welcome address, Chancellor Williams emphasized to the students that in order for STEM disciple to be complete, “A” (agriculture) must be added, changing it to STEAM – Science, Technology, Engineering, Agriculture, and Math; a strong indication of where our food and fiber come from. Greater Baton Rouge Food Bank representatives Amy Sellers and Robert Lockett also attended the event and explained the importance of donating food to those in need. CMC Corporate Solutions Vice President of Business Development, John Edwards, served as the keynote speaker for the event. In his current role, John is managing CMC’s business activities while creating and implementing strategies and coordinating cross business growth initiatives. He received a Bachelor’s of Science in Aerospace Science Engineering from Tuskegee University in 2003 and a Masters in Public Administration from Louisiana State University in 2010. 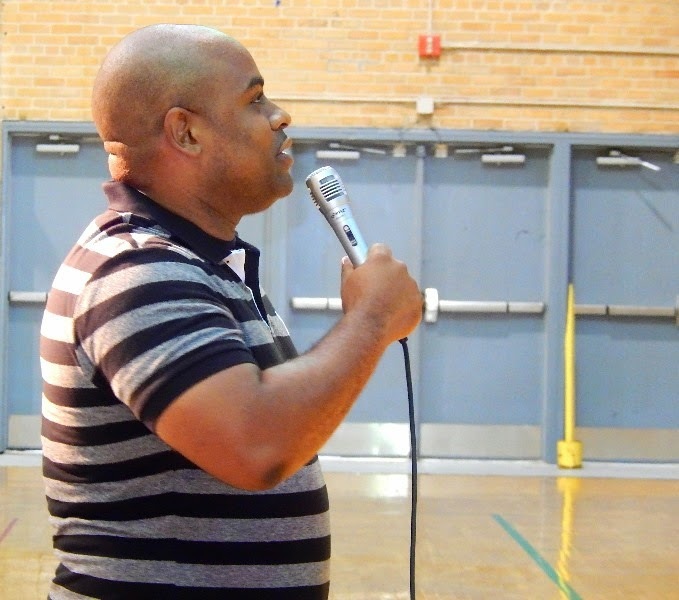 Edwards talked to the youth about the opportunities available in the engineering field, encouraged the students to become disciplined and to use their knowledge in science, technology and mathematics to help solve some of the challenges that we currently face. The students assembled into teams and took turns propelling their rockets at landing pads to see whose rocket could reach the farthest target. Teams Power Squad (25 points) and D’Elm Group (15 points), both from the Southern University Laboratory School, took home first and second place respectively. Teams Bumble Bee from the Southern University Laboratory School and PRAMS Dynamic 5 from Park Ridge Magnet School tied for third place with 10 points each. A total of 129 students, staff and parents attended the 2014 4-H NYSD. The event was covered by WAFB entitles, “Southern hosts 'Rockets to the Rescue'” available at http://www.wafb.com/story/26741351/southern-hosts-rockets-to-the-rescue; also, in the Advocate’s article titled “Reading, writing and rockets” featured on page 4B of the October 9th issue of the newspaper. For additional information about the Southern University Ag Center’s 4-H programs, contact Tiffany Franklin at (225) 771-2775. Baton Rouge, LA - A former college provost wanted to start a goat farm so she turned to USDA for some help. The rest is history, Beverly Robinson, former Soperton, Georgia provost runs a thriving goat farm. Robinson now raises forty goats on her ten acre farm. Her video is available on YouTube at Goat Farmer. Baton Rouge, LA - In response to the Ebola threat, the Department of Health and Hospitals (DHH) has sent the message below to child care partners. This update is in regards to the ongoing outbreak of Ebola Virus Disease (EVD) in Africa, and its potential impact on those that may travel to the region. Guidance documents for child care centers have been posted on the CDC website, which can be accessed at the links below. We hope that these resources help to educate and inform child care providers across the state. Please see the CDC webpage for the most current information. To discuss a possible exposure, or report a suspected case, contact the Office of Public Health at 504-568-8313 or after hours 800-256-2748. Baton Rouge, LA – The SU Ag Center will host National Science Day on October 8, 2014 with experiment that challenges youth to use aerospace engineering to solve a global crisis. 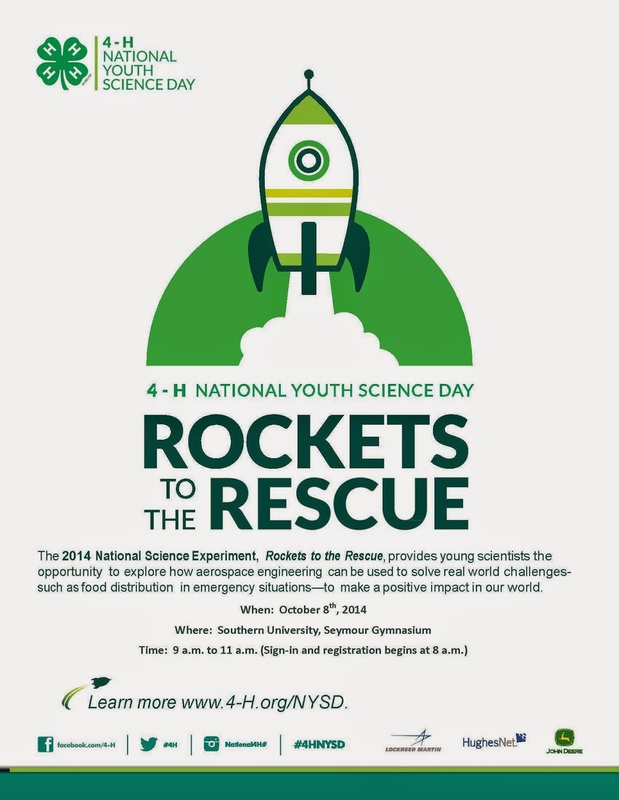 East Baton Rouge Parish Youth will Send Rockets to the Rescue as Part of 4-H National Youth Science Day. On that day, youth from Park Ridge Academic Magnet and Southern Lab Schools will design and build an aerodynamic craft designed to deliver a payload of food to natural disaster victims as part of 4-H National Youth Science Day (4-H NYSD), the world’s largest, youth-led science experiment. The activity, called Rockets to the Rescue, was designed by University of Arizona Cooperative Extension and selected as the winning experiment for the seventh annual 4-H NYSD. Youth all over the nation and some globally, will also conduct the same experiment at hundreds of local events taking place in all 50 states. To learn more about 4-H NYSD, visit www.4-h.org/nysd. 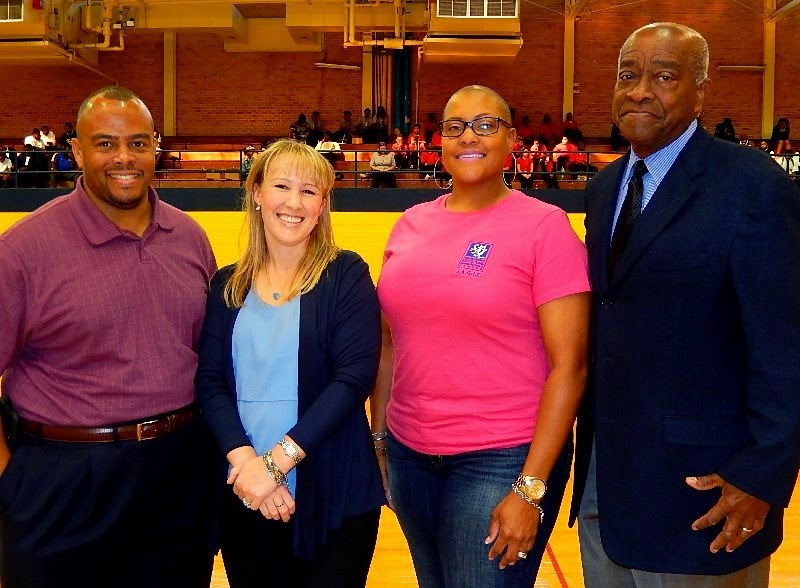 The event will take place on October 8, at Southern University Seymour Gymnasium from 9:00 – 11:00 am. Registration begins at 8:00 am. Contact Tiffany Franklin at (225) 775-2775 for full detail. Baton Rouge, LA - Every October 24, thousands of events all around the country bring Americans together to celebrate and enjoy real food and to push for improved food policies. This is a day to resolve to make changes in our diets and to take action to solve food-related problems in our communities at the local, state, and national level. The 2014, Food Day will have a special focus on food access and justice for food and farm workers. In celebration of NYSD, the SU Ag Center is hosting an event at the LSU/SU Ag Center in Mansura, Louisiana on Tuesday, October 7. Contact Camellia Brown at 318-253-7526 for full details. The Southern University Ag Center will celebrate the event with several activities in different parishes. Sharon Wilder, Nutrition Educator, East/West Carroll Parishes host an event at MCIO OAK GROVE HEAD START, October 20-24. The 51 students, ages 3-5, will learn about plants and container gardens. Marquetta Anderson and Kiyana Kelly, Nutrition Educators, East Baton Rouge, will host an October 22 for McKinley GED Center for adults. Nutrition Educator Camellia L. Brown, has teamed up with the Avoyelles Parish Head Start to celebrate healthy eating October 20-24 at LSU/SU Ag Center in Mansura, Louisiana. 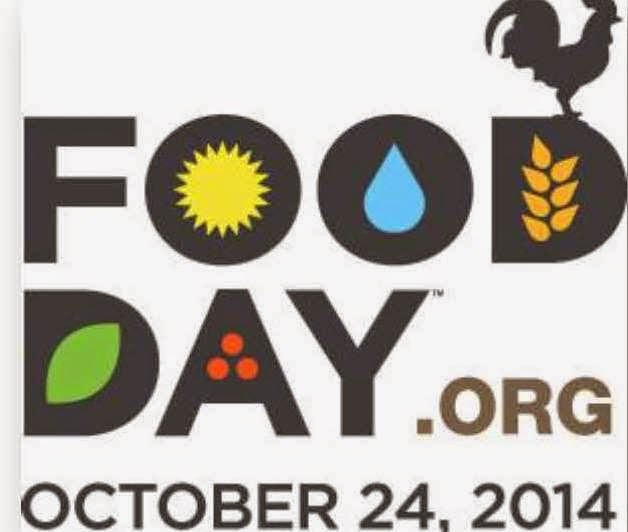 For additional information on food day events in your parish, contact the Nutrition Educator in your parish or Camellia Brown at 318-253-7526. You may contact Tiffany Franklin or De’Shoin Friendship at 225-771-2242 for further assistance.